Mudguts: [as Toecutter is harassing Jessie] Watch the tongue, lovable, I've seen him lick his own eyebrow clean! Q: What year does this film take place in? Q: How is Max "Mad"? Low budget classic that is now a genre landmark. Set somewhere in the future we are privy to a world where the roads are ruled by maniac gangs with souped up cars, and bikers that literally could come from hell. Trying to stop these marauding loons are the overstretched police force who themselves ride in exceptionally fast cars. At the front of this story is Max Rockatansky, a good honest cop trying to hold his own against the chaotic world that is forming around him. 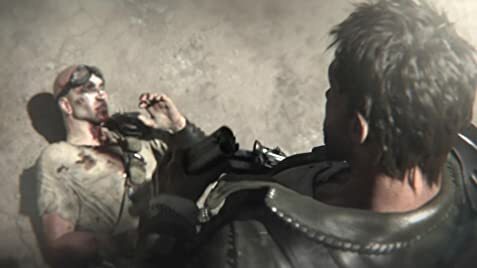 After his best friend is burned and left for dead he decides enough is enough and thinks about retiring from the service, but whilst on a vacation with his wife and child things go decidedly bad and Max becomes an avenging force of fury with devastating affect. When evaluating this film I feel it really needs to be put into perspective just how brilliant a job director George Miller did with next to no cash to work with, in fact Miller edited the film in his own bedroom just to emphasise the low-fi nature of the beast. The costumes are excellent, the cast are terrific, with Mel Gibson as Max particularly impressive, and here we have villains to truly fit the word villainous, but it's the stunts and chase sequences that makes this film a rich rewarding experience. The opening ten minutes alone are pure adrenalin pumping genius, but the film as a whole delivers a crash bang wallop punch that has often been imitated since its release, but rarely bettered, and although the heart of the film is a simple revenge story, it grabs your attention and delivers right to the corking finale, 8/10. 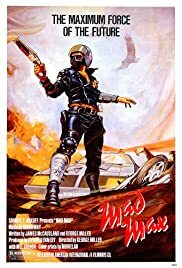 Footnote: Region 2 Users should note that the bargain bucket Mad Max Trilogy flip pack set still contains the foolishly dubbed version of this film, incredibly stupid move from the American distributors.